October is my favorite month and transforming corners in a home also happens to be one of my favorite topics. This month we will be focusing on transforming our space and making the most of the space we are in. Our family has spent years and years whittling away at making our little house our own by transforming furniture pieces, carving out hidden treasures for spaces that we didn’t even realize existed, and continuing to rid our life of clutter that robs us of the joy we feel about our home and the beauty of our space. I am excited to bring back some of our favorite projects for you this month and hope that it will inspire you in your own space! For our book selection this month, I have selected The Nesting Place: It Doesn’t Have to Be Perfect to be Beautiful by Myquillyn Smith. 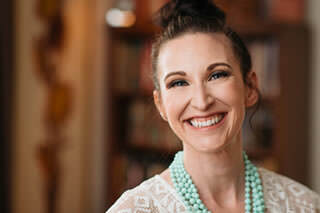 I adore this woman so much and all the beauty that her blog , Nesting Place, brings to my life that I am excited to share her book as our selection this month. Her approach towards making our homes beautiful is budget-friendly and realistic. She creates beauty in unlikely places and has inspired me and my little house so much over the years! I consider her a go-to-resource when it comes to home decorating! I look forward to sharing more with you about our own family’s journey towards loving our space! I hope this month is full of inspiration!